Are you a growing small business, trying to figure out how to keep up with the demands of IT? Are you a startup, looking for a platform to host your next great idea? Are you an expanding enterprise, seeking to extend your footprint into the cloud but desire privatization and complete control? At thinkIT, you don’t have to compromise between your requirements and price. There’s no such thing as small, medium, and large here. Forget about compromising and join a revolutionary new approach to cloud. 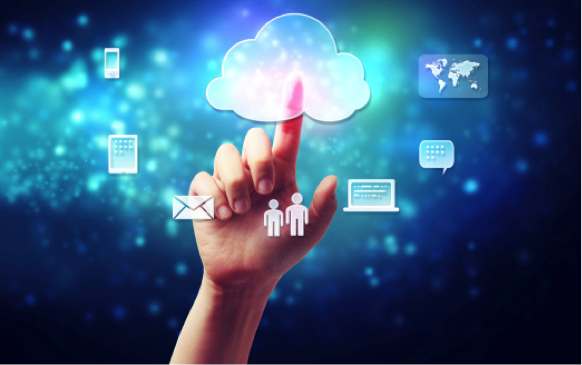 THINKCLOUD can offer: Turnkey cloud solutions, private cloud solutions with deep control, Hybrid cloud solutions, PaaS (Platform as a Service), DRaaS (Disaster Recovery as a Service), BaaS (Backup as a Service), DaaS (Desktop as a Service) and much more! ThinkIT’s Flexible BUILDING BLOCS are customizable from top to bottom, whether you’re implementing at a single location or supporting hybrid multi-site cloud services. Be as picky or simple as you want: each thinkIT THINKCLOUD can be customized with just the right amount of processing, memory, storage, and IOPs, plus solutions for public, private, hybrid cloud, disaster recovery, and more. If you want to command your own THINKCLOUD, we’ve got you covered. THINKCLOUDs with dedicated VMware vCloud access put you firmly in control of cloud management and your BUILDING BLOCS. Privatize your exclusive thinkIT THINKCLOUD with VMware vCenter access plus highly available dedicated processing, memory and storage. It includes free Layer 2 Direct Connect between any of the thinkIT cloud locations, reserve processing, memory, IOPS and storage, for a fraction of the cost, so it’s there when you need it for DR and bursting workloads. With locations in Baton Rouge, Denver, Atlanta and New Orleans, THINKCLOUD can offer you the geo-diversity you might be looking for. Contact us today and ask us how THINKCLOUD can save you money and give you peace of mind.